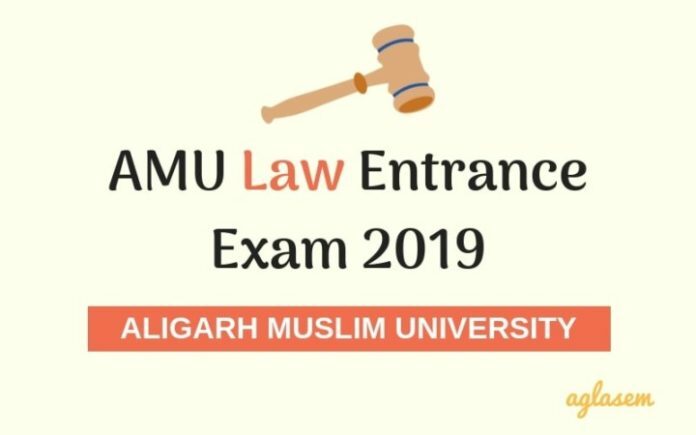 AMU Law Entrance Exam 2019 – Exam Date for AMU BA LLB 2019 will be held on May 27, 2019. Eligible law aspirants must fill and submit the application form as per schedule. This is because the only mode of admission to BA LLB in Faculty of Law, Aligarh Muslim University, Uttar Pradesh, is on basis of this entrance exam. AMU is a premier central university. Faculty of Law at AMU seeks to bring radical changes in legal education in India. Get here complete details of AMU Law Entrance Exam 2019 including exam date, application form, fees, centres, admit card, exam pattern, syllabus, result. Latest: AMU Law Entrance Exam 2019 date has been revised. Scroll down to check the new date. Important dates of AMU Law application form, admit card, result are to be as per the decision of AMU for admission in academic session 2019-20. Candidates interested in pursuing BA LLB can check all dates from the table below. AMU Law Entrance Exam 2019 Application Form Filling Starts Released! As Aligarh Muslim University is yet to announce law admission 2019 schedule, above table has expected dates on basis of last year’s exam. As soon as official schedule is out, actual dates will be published here. Eligible and interested candidates must fill and submit AMU Law Entrance Exam 2019 Application Form as per schedule. 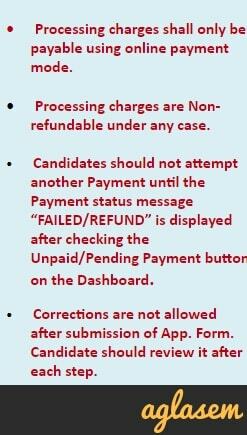 Important instructions for form filling are given below. Candidates can apply online at amucontrollerexams.com. They can apply for AMU BA LLB 2019 Application Form. It is necessary to enter correct and working email ID, mobile number because they will receive username and password there. Candidates can login using the username, password. Then they can fill form using the dashboard. Details to be entered in form include email address, mobile number, qualifying exam. They have to also upload scanned copy of photo with white background, signature, thumb impression. These images should be in JPG format with file sizes 20-100 kb. If a file is of extension BMP / PNG / TIFF then candidates should not just rename it to jpeg. Instead, actually, convert it to JPG using the software. Application fee is looked forward to be Rs 650. Mode of fee payment shall include net banking, credit card, debit card. Each aspirant should fill a single form for multiple courses also. Applicants can use candidate dashboard to also track online form. In the event anyone forgets password, then he/she can use forgot password link to get it. Password then gets sent to registered email. Candidates must fill details in AMU Law 2019 Application Form carefully as they cannot edit it later. There are certain conditions which need to be satisfied to be eligible for AMU BA LLB 2019. Candidates who fulfill eligibility criteria only should apply. Criteria for eligibility are as below. Candidates must have completed Senior Secondary School Certificate or an equivalent examination with aggregate not less than 50% of the total marks. They should have Bridge Course (for Graduates of Deeni Madaris) from AMU with 50% marks in aggregate. Candidates should not be more than 22 years old as on 1 July of year of admission. 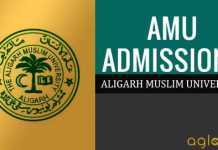 There will be an entrance exam for admission to law program in Aligarh Muslim University. It will have questions to test a candidate’s aptitude for studying BA LLB. AMU BA LLB 2019 Entrance Exam Pattern shall be as follows. Other aspects of exam are listed below. Mode: Pen and paper based test. Candidate’s application should be complete in all respects in order for him/her to get an AMU Law Entrance Exam 2019 Admit Card. Applicants can download admit card from official website amucontrollerexams.com only. No one shall receive admit card by post or any other means. Therefore applicants should check official website for availability of admit card before exam. Candidates can login using username and password to download admit card. After downloading it, they must print it and if instructed, paste recent passport size photograph in space provided. Photograph to be pasted in AMU BA LLB 2019 Admit Card should be same as one used in application form. Candidates must bring same photograph on exam day also to paste in attendance sheet. 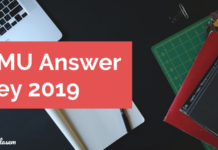 Declaration of result of AMU Law Entrance Exam 2019 holds significance for all test takers. It is through result only that they get know whether they can come for counselling or not, and their ranks. Highlights of AMU BA LLB 2019 Result are as follows. Aligarh Muslim University is expected to publish law entrance test results in month of July 2019. It will publish 3 lists namely selection list, chance memo list, special category list. Candidates with roll numbers and ranks in AMU BA LLB 2019 Merit List can attend admission counselling as per schedule. They must present requisite documents at time of document verification also. Calculation of marks for every candidate will be on basis of their performance in entrance exam. Candidates get marks for correct answer, and 25% marks for that question are deducted where they have marked incorrect answer. Official website of AMU Law Entrance Exam 2019 is amucontrollerexams.com.